1. Your candidature to the examination is provisional. You are expected to maintain decorum and strictly comply with all rules / instructions for smooth conduct of the examination at all times. 2. Please read carefully the Examination Notice No. 04/2018-CSP dated 07.02.2018, Rules for the Examination published in The Gazette of India, Extraordinary, Part I – Section 1 on 07.02.2018, Instructions for Candidates in CS (M) Examination, 2018 provided with the Detailed Application Form and “Poster” containing instructions displayed outside the Examination Hall. 3. Check the e-Admit Card carefully and bring discrepancies, if any, to the notice of UPSC immediately. 4. Bring this e-Admit card (print out), along with the (original) Photo Identity Card, whose number is mentioned in the e-Admit Card , in each session to secure admission to Examination Hall. 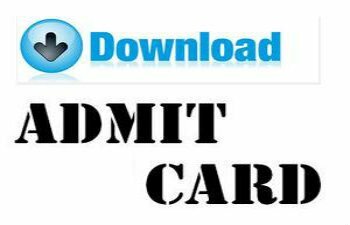 E-Admit Card must be preserved till the declaration of the final results. 5. You are responsible for safe custody of the e-Admit Card and in the event of any other person using this e-Admit Card, the onus lies on you to prove that you have not used the services of any impersonator(s). 6. Candidates are advised not to bring any valuables/costly items in the Examination Halls as safe keeping of the same cannot be assured. The Commission will not be responsible for any loss in this regard. 7. Enter the Examination Hall at least 30 minutes before the scheduled commencement of the Examination. Entry to the Examination Hall closes 10 minutes prior to the scheduled commencement of the examination in each Session. 8. If you appear at a centre / sub-centre or in an optional subject, other than the one indicated by the Commission in your e-Admit Card, your answer scripts will not be evaluated and your candidature is liable to be cancelled. 9. Possession (even in switch off mode) / use of Mobile Phones and other Electronics / Communication devices is banned in the examination premises. Any infringement of these instructions shall entail disciplinary action including ban from future examinations under the rules of the examination. 10. Candidates who do not have clear photographs on the e-admit card will have to bring passport size photograph, one for each session , for appearing at the examination with an Undertaking. 11. Use of Scientific (Non-Programmable type) Calculators is allowed and if considered necessary may be brought by candidates. Programmable type calculators are, however, not allowed in this examination. 13. Candidates are advised to ensure that spaces / pages remaining blank are clearly crossed out before the QCA booklets are handed over to the Invigilator. 14. Violation of any instruction(s) shall entail cancellation of candidature of the candidate in addition to any other appropriate action that may be taken by the Commission against the candidate under the rules of the examination. 15. Mention your Name, Roll Number, Registration ID and Name & Year of the Examination in all the correspondence with the Commission. 16. Candidates are also advised to bring black ball point pen to the Examination hall for making entries in the attendance list.